This year’s Emsworth Artists show takes place at Emsworth Community Centre between Saturday 27th August and Wednesday 31st August 2016. A Preview Launch event is being held on the evening of Friday 26th August which the Mayor of Havant will open. Both the Preview Launch and the main Exhibition are open to all, and admission is free. Monies taken at the exhibition last year matched those from the previous year, allowing the group to donate £850 to Emsworth Community Association in 2015. The standard of pictures in the show continues to be very high, with an increasing number of works using new media, as well as traditional media such as oils, acrylics and watercolours. Visitors voted for their favourite pictures in the show. The hotly contested winner of the Sidney Stokes Award for the favourite picture overall went to Isobel Banfield, with her oil painting, ‘Storm on the Horizon’. I came joint fourth for my monoprint ‘Secret Cove’. The Mountford Award for the favourite watercolour in the show went to Simon Cowper, with his painting ‘Low Tide’. This year I will have three monoprints on display at the exhibition, ‘Nore Barn Woods‘, ‘Slipper Pond’ and Emsworth Harbour. A new colour way of the Screenprint Cow Parsley will also be on show. Julie completed a City & Guilds in Printmaking at the WEA Centre in Portsmouth in 2011and has been learning and experimenting with printmaking techniques ever since. 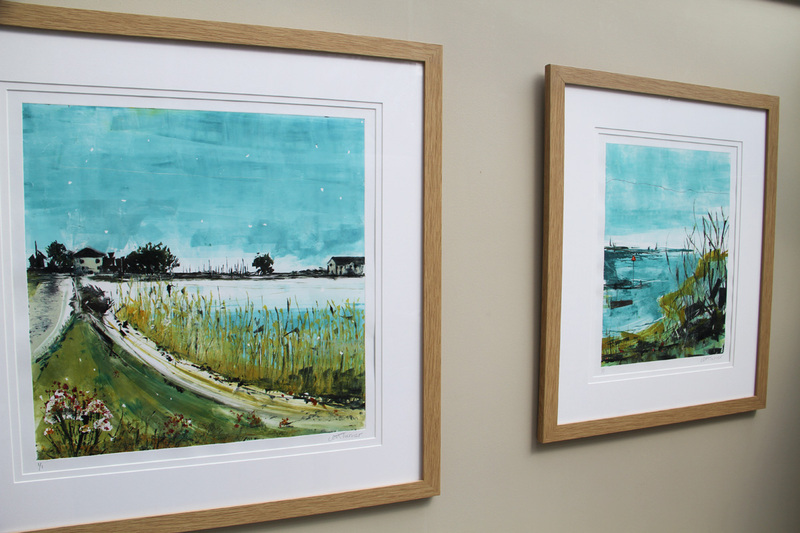 Her work comprises mono prints, screen prints and lino prints, mostly influenced by the local landscape and memories of growing up by the seaside.